Casey Affleck’s performance in Manchester by the Sea has the hallmark of quiet genius about it. It has rightly earned him a Best Actor nomination at this year’s Academy Awards, but nobody expects him to win – not while the behemoth that is La La Land casts its mighty shadow over the entire event. 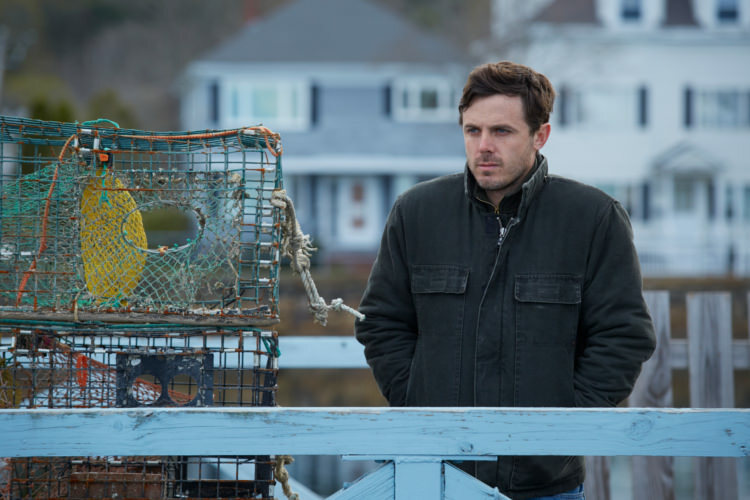 When I saw that Manchester by the Sea had been put forward for five Academy Awards, I was surprised, as this did not seem like the sort of film which usually generates Oscar buzz – too gritty, too real, too personal. But after seeing it, I can confirm that this movie deserves everything that is coming to it. The film, and Affleck’s performance, deserves to be remembered for a long time to come. The film tells the story of Lee, a recluse who works as a janitor in the suburbs of Boston. In his every utterance you detect a man who is bored with his job, his clients, and the world generally. He is shaken from the monotony of his life by a phone call, and the news that his brother Joe has collapsed in his hometown of Manchester-by-the-Sea, where they grew up together. By the time Lee returns home, his brother is dead, and Lee is shocked to find that Joe has named him as the guardian to his son, Patrick. In the early scenes of the film we have seen Lee playing with a young Patrick, of whom he seems fond, but those innocent days are long gone. Precious memories now lie tainted by a terrible tragedy, a horrible mistake which Lee can never undo. In the wrong hands, Lee could have been an intolerable character. There is a tendency in cinema for isolated characters to be portrayed as socially incompetent dullards marked only by their distant stares, emotionless faces and stammering awkwardness. In the hands of Casey Affleck, Lee becomes one of the most interesting characters I’ve seen in a film for a very long while. He has walled himself off from society not because he wants to, but because he is punishing himself. The events of the past which haunt Lee are obvious not just because of the hushed whispers in which others speak of him, but in his idiosyncrasies – or Afflecktations, if you will (sorry). His every gesture, mannerism and wary look betrays the mind of a man who has demons in his past that will never fade away. He is quiet but not emotionless; composed, but not without rage. He seems calm most of the time, but his occasional beer-fuelled brawls tell a different story. There seems to be a silent scream of pain hidden beneath the surface, often imperceptible, but waiting to rear its head at the slightest provocation. Not that the film is without laughs. ‘Droll’ would be the best way to describe the humour. Much of this comes from interactions between Lee and Patrick, played with genuine star quality by Lucas Hedges in his first big film role. He barely has time to feel sad about his father’s death – he’s too busy with hockey, his band, his many friends and his multiple girlfriends, the last of which is a source of much amusement. Hedges has great comic delivery, evident in his ability to turn a nondescript line into a dry piece of humour. But he can also handle the emotions when he needs to. An innocuous struggle with a refrigerator sends him into a breakdown, and subsequently a touching interaction with Lee, who shows that he really cares about his nephew, despite Patrick suspecting otherwise. The scene where Patrick learns of his father’s death takes place on the opposite side of a hockey rink in a barely-heard conversation with Lee. You can’t tell what they’re saying, and you don’t need to. We know what Lee’s news is, and we can tell from Patrick’s reaction how it affects him. It’s a great piece of filmmaking by director Kenneth Lonergan, but only possible if you have someone of Hedges’ talent to pull it off, and he proves he has what it takes. I suspect he will become a household name in the years to come. I don’t know what else I can say about Manchester by the Sea. I can’t really think of anything wrong with it. Possibly Michelle Williams could have had a bigger role in the film, as she was so central to the event which set the narrative in motion. But this is Lee’s story. Affleck, Hedges, Williams and the supporting cast are outstanding, Lonergan’s direction is that of a master craftsman at work, and it all comes together into something which is funny, sad, thoughtful and really, really good. Manchester by the Sea is showing at the Dukes until Thursday Week 13.